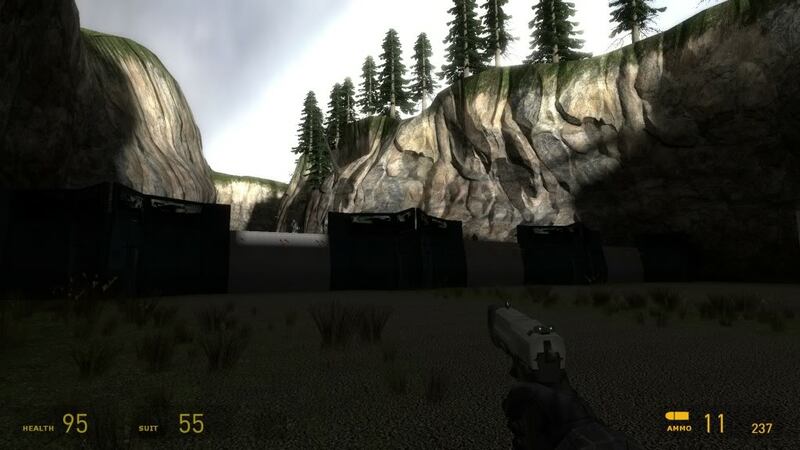 CI is a Half-Life 2 modification that centers around the events directly after Half-Life 2 (during/after the Episodics). 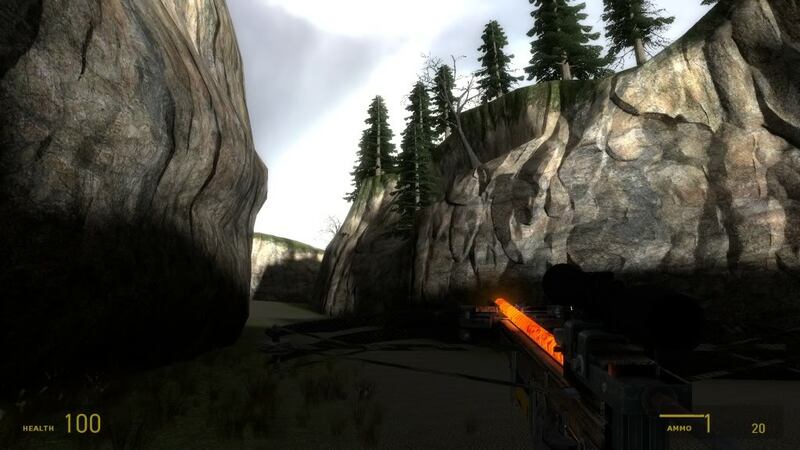 This week I will be show casing some of the work done on BM2_OutA. Please note all screen shots are of a map area still under construction. 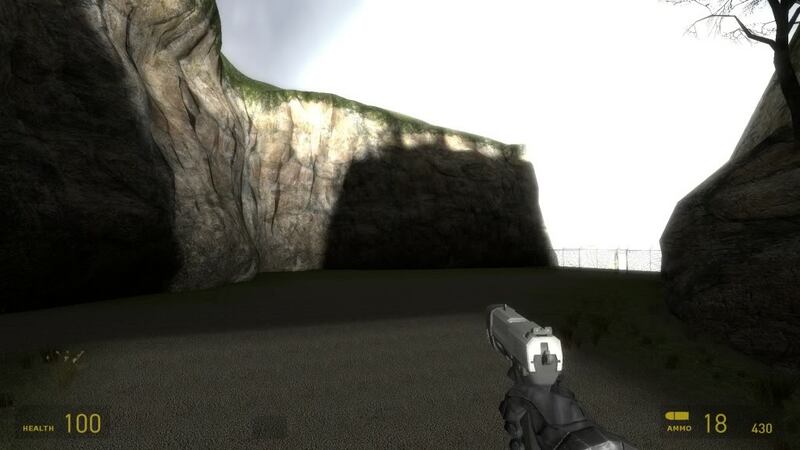 This is where the player spawns at the moment, I still have not figured out a plausible way to connect this map with NPZ_Out. I wanted this are to feel as though the Combine had just mowed through. Center Left of the image are burning corpses. They should be on the ground. The larger building was based off of a long time friends house, again, burning car to show that the Combine passed through not too long ago. Let me know what you think about these displacements. 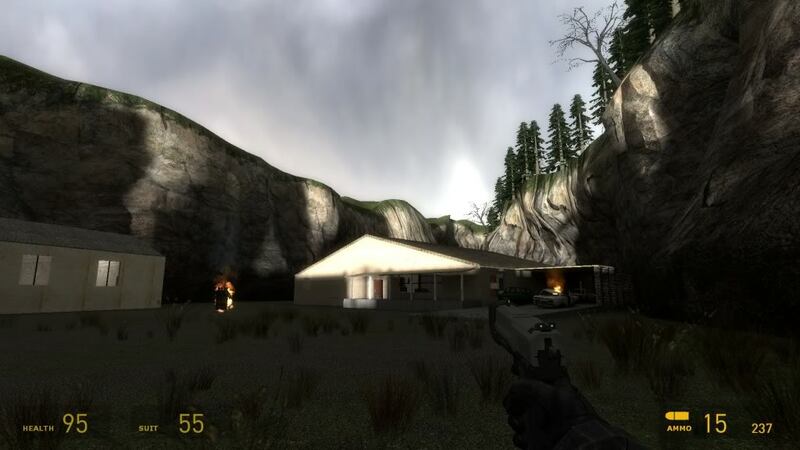 This is the smaller building that is in the left of the first screen shot. The first thing I will mention is that the Lambada is supposed to be over lapped by the Combine Core symbol, to show that this Resistance rat hole had been cleaned out, but it did not make it through the compile for some reason. This is the main room inside of the larger house. I wanted to do things a bit differently here. I wanted this to feel like a long term residence more then a quickly established hide out. I also took the liberty to use the Vertex Scaler tool to make a few things in this building (such as the T.V. in this screen and a few other things). At this point in the map I wanted to establish that the Combine had been here maybe longer then you might have thought at first. The models valve provides for the large barricades dont really provide enough parts to do what I wanted to, so I made some areas out of brush work (gray dev texted). To give it a feel like it is part of this barricade set I included some spike like protrusions that you cant really see too well (orange dev texted). The lower section of the gray dev texted parts will be doors that will open. Hopefully there will be some improvement to my displacements over my last few WPR's xD. Right now I do not have a completion date set for this map. It still has a lot of work to be done on the outer areas as well as the inner section. I understand that your indoor areas are WiP, but I gotta tell ya...each of your rooms have the exact same shape. Rectangluar rooms are not much fun when used repeatedly. Is there a way you can make some second story balconies or something? 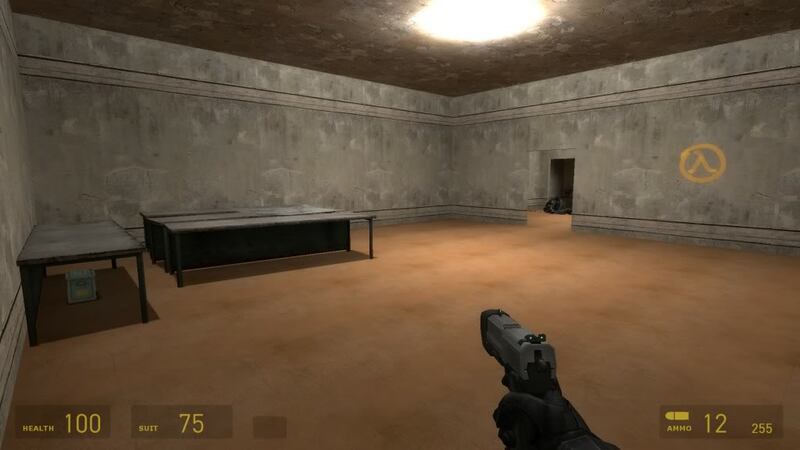 Perhaps you can devide the big open room by placing some cubicles or something in the room? 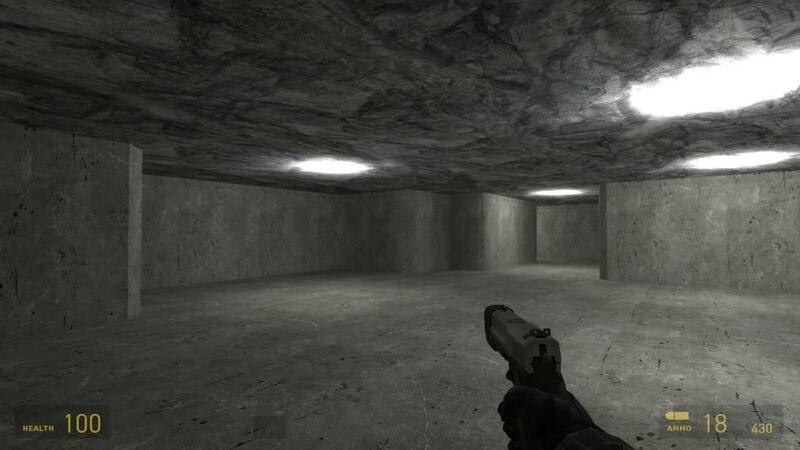 Your Combine bunker rooms looks a bit more interesting in terms of the floor plan. Your outdoor areas don't look too bad, but they do look pretty flat. Perhaps some slowly rolling hills and some trees dotting the open area would improve the character of the area. Have fun with your mapping. 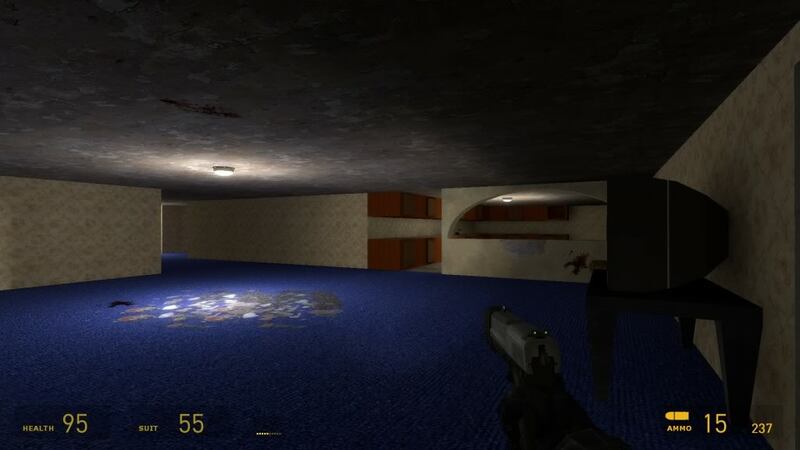 those rooms look like the old quake doom missions. The outdoors ones look pretty good though.